No packaged cookie cutter parties! Each event is unique and special. We provide a feeling of excitement and an element of surprise no matter what the budget. 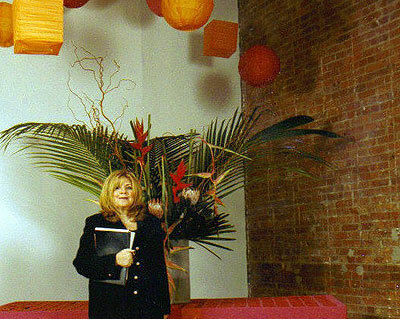 Founded in 1993 by Rochelle Lerner, DBR Events is a company focused on service, planning, and creative ideas. Her goal is to understand her client's vision, develop a concept, and make it a reality. Driven by her passion for detail and perfection, Rochelle treats every aspect of the event, from concept to execution, with the dedication needed to ensure a stress-free and memorable event. Her philosophy is based on developing a personalized and original idea for each client. Rochelle received her education at Hunter College in New York City. In addition, she has been a member of The Association of Bridal Consultants for over 9 years. To stay current on the industry, she has attended seminars in the special events field at The New School, New York Institute of Technology, The International Special Events Society and The National Organization of Caterers. She has appeared in Manhattan Bride, Modern Bride, The New York Daily News, The New York Times, Channel 12 News and lectured at various business and civic organizations.